If the family dog’s routine is upset by the holidays and he relieves frustration on firecrackers, turkey bones, or holiday decorations there are serious risks! Food first. 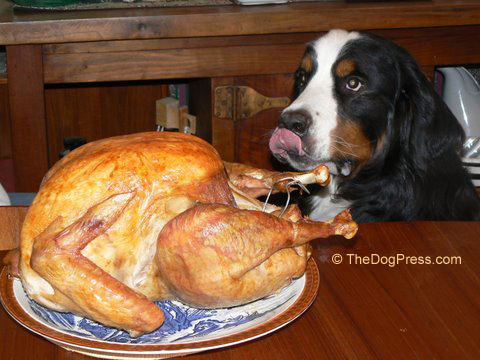 High-fat foods like Thanksgiving gravy or poultry skin can upset a dog’s digestive system. 4th of July “all beef” hot dogs are not all beef. Bacon, ham, and sausages are loaded with nitrates. Limit food treats to small nibbles of meat, poultry, or sweet potato. Salmonella is a bacterial organism often associated with and around food. Salmonella can be transferred by eating or handling infected food (including contaminated pet food), food implements/utensils or food prep surfaces (instant information) says watch out for ii Salmonella symptoms. No holiday would be complete without candy for the kids but chocolate can be deadly to dogs. Perhaps more so because this (instant information) says ii chocolate poisoning symptoms can be delayed as much as 24 hours after ingesting. Xylitol, an artificial sweetener, is common in chocolate, chewing gum, and candy so keep all candy bowls and snack trays well out reach of all dogs. Xylitol poisoning can be fatal to your dog or a visitor’s dog. Also, if you offer pet treats, make sure they are not those deadly jerky treats made in China! 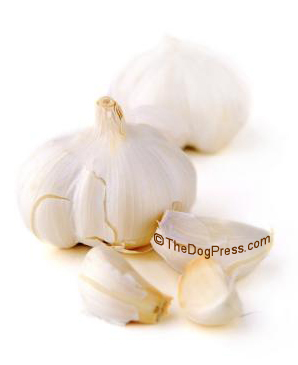 Also on the deadly-to-dogs list is garlic and onion, common in dressings, soups, and meat seasoning. This article suggests cooked garlic for flea and tick control so it is surprising that dogs are not extinct! 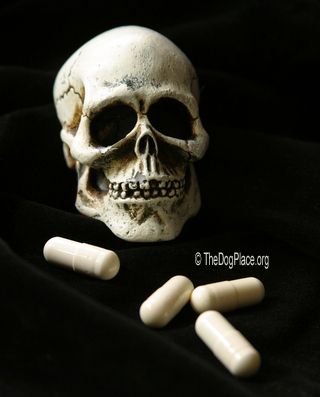 Seriously, we did some research and found no veterinary documentation of garlic or onion poisoning in pets. In fact, this top university study negates Garlic-Onion Poisoning (offsite opens in a window) in dogs and cats. Holiday tables are special and pre-dinner snacks often include fruit. We advise not letting dogs nibble on grapes because of the toxic sprays, see Grapes-Are-Poison Myth. If a guest’s dog gets sick (more likely from travel, crating, or general excitement) you don’t want the owner doesn’t blame it on your centerpiece. Many people travel with their pets during the Holidays. Wisely, they don’t want to board them, especially at the veterinarian’s where there are sick pets! Short drive or long, refer to Car Safety & Winter Weather Tips from canine expert-AKC Judge Gammill. Also be sure your dog has a safe, escape-proof collar as shown here in Vital Tips For Managing Your Dog. Be a mindful owner and don’t let your dog jump up on guests, especially with long toenails or un-groomed coat! If a dog is not trustworthy and well-mannered with children, he should be left in the car or tucked in a crate with his favorite chew toy. Guests will likely arrive bundled in coats and in those pockets may be medications that could make your dog really sick. Be sure to hang coats in a closet or pile them on the guest bed with the door kept shut! If for any reason you need to call poison control be sure to see this article which also provides the free phone number. Whatever the holiday occasion, Thanksgiving, Christmas, New Year’s Day, or the 4th Of July, think about your centerpiece setting and these family dog safety tips. If your guests bring their dogs and they are allowed to go outside, be especially aware of any dangerous or hazardous plants in the landscaping. We hope this has helped you to have a wonderful pet-safe holiday.